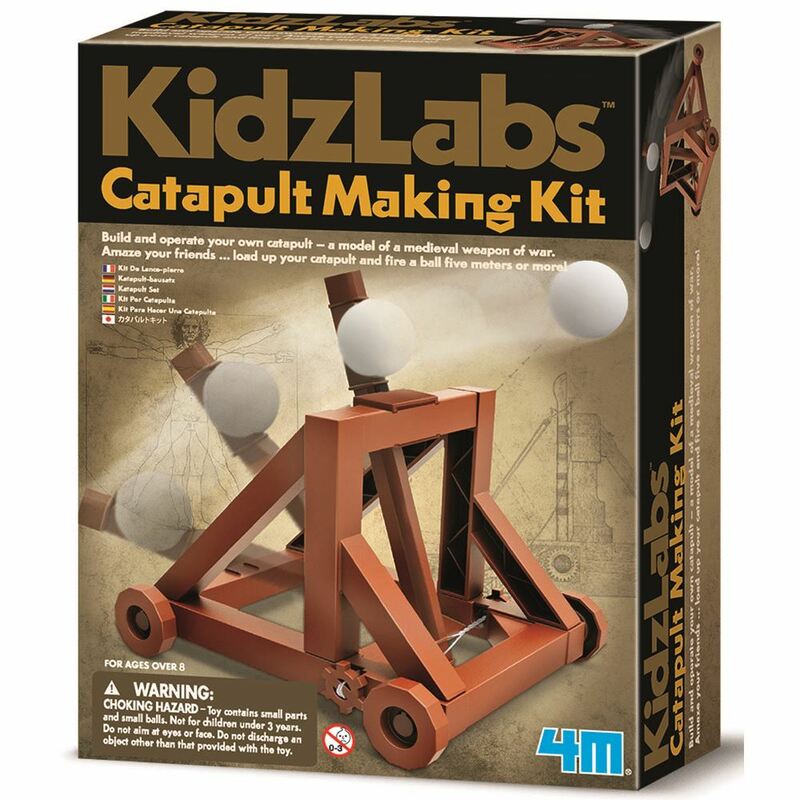 Build and operate your own 4M catapult : a model of an medieval weapon of war. Amaze your friends by load up your catapult and fire a ball five meters or more! Includes: everything you need to build a catapult, 2 projectile balls and detailed instructions. Age 8+ years. Part of the KidzLabs range. Distributed in New Zealand by Holdson.